The Motorcycle Handbook is a unique collection of information, tips and tricks compiled from over 25 years experience in riding, wrenching and retailing motorcycles. The author's broad experience is spread through 63 chapters of interesting, useful information. This rare 3-fold perspective of a long-time rider, professional mechanic and motorcycle shop owner offers you insights and ideas you will not find in any other book or manual. 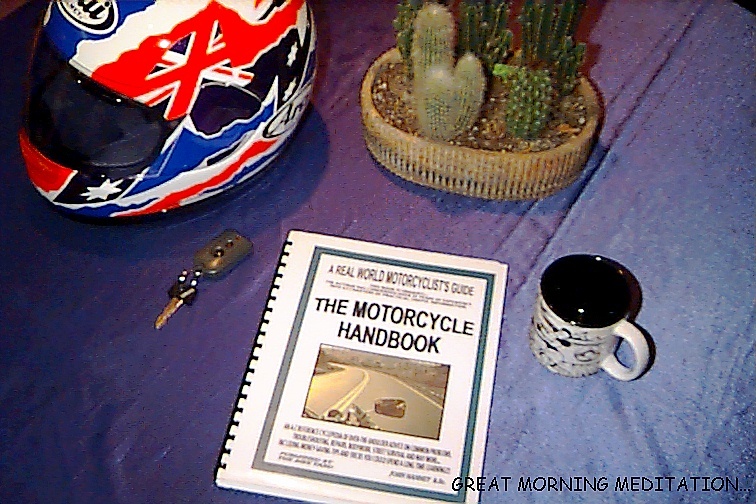 The clear, over-the-shoulder explanations and advice will teach you more about motorcycles and motorcycling than you would learn in many years on your own. There are many common problems and questions that both new and experienced riders encounter frequently, and The Motorcycle Handbook offers useful information on a large variety of these topics. Although most of the mechanical advice, tips and suggestions relate mainly to Japanese motorcycles, many of these principles should be useful to owners of all other machines. Whether you plan on performing any motorcycle repairs yourself or having them done at a shop, The Motorcycle Handbook will help you to understand your motorcycle, or your mechanic's explanations, a whole lot better. The focus throughout the book is on saving you time, money and trouble while increasing your general knowledge and safety. The valuable tips, tricks and trade secrets included will make this practical reference book pay for itself many times over. For less than the price of a wrench, you can add years to your motorcycle experience instantly! !